Our employees are what make everything we do possible. Whether it is giving back to our local community, international outreaches or growing as a company, without the hard work and dedication of our employees we would not succeed. To assist in each individual employee's development, Premier Automotive launched PremierU in 2012 where various options for ongoing and additional training can be found. PremierU provides links to all of our training partners. Annually Premier Automotive holds a Dealer Academy, at the Corporate HQ in New Orleans for 12 -18 candidates that demonstrate the leadership characteristics necessary to advance to the level of General Manager/Partner in a Premier Dealership. Candidates are chosen from within the group. Selected candidates spend one week per quarter participating in a very intense training curriculum designed to provide them with the tools necessary to take their careers to the next level. Instructors from within and outside of Premier cover a variety of topics. Homework assignments are given between quarterly meetings making this an intense twelve-month training initiative. Whenever possible Premier Automotive prefers to facilitate its growth by promoting from within its own ranks. Each dealership is encouraged to maintain individuals ready to take the next step. Premier Automotive strives to have financial partners not just employees running our dealership operations. Financial investment in dealership operations can be challenging, but Premier has found a unique way to help others achieve their goals of ownership. Premier strives to be the top choice amongst other dealerships for customers when shopping for a vehicle. The Premier difference means working hard to be better than the rest and going the extra mile. This difference can be seen in everything from how we train our employees to provide the best customer experience to going the extra mile in the service lane by offering a free car wash and a bottle of water! Premier Automotive is continuously employing the latest and optimum technology to ensure that both the sales and service experiences are as seamless and transparent as possible for our customers. In a very competitive industry, Premier Automotive stands out from the pack with tie breakers* such as free maintenance, free vehicle etch, customer rewards, and Warranty for Life on all new cars where these products are offered. Our Service Experience promises to provide our customers with a professional environment and friendly interaction, all while utilizing the latest in industry technology, and pampering our customers during the visit. Scan our QR code to receive updates and specials on service at all of our Premier Service* locations! Schedule deferred service reminders with your service writer! Once your service is complete, we'll be sure to return your vehicle to you after a complimentary car wash and an ice cold bottle of water for your ride home! Premier Automotive wants to maintain a relationship with customers for life through a number of loyalty programs such as Premier Rewards*, free maintenance and encouraging crossover relationships between locations. Today, many customers are struggling with the purchase of their next vehicle. Premier Automotive has a plan to assist customers with the purchase of that next vehicle while at the same time providing suggestions on improving their credit as they upgrade in vehicles. Learn more here for more information on how to sign up today. "Profit for a Purpose" is Premier's philosophy on serving. Through our hard-working employees and loyal customers, we become a more successful business, which allows us to serve the people and communities around us. 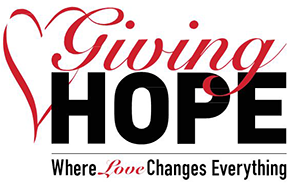 Giving HOPE was founded to promote HOPE (Helping Other People Every day) in a variety of ways locally, nationally, and internationally. The purpose of the foundation is to provide Help, Love, Support, Resources, Understanding, and Faith to those who are in need. Each year around the holiday season, Premier donates $50 per new car sold to the charity of the customer's choice on their behalf*! Throughout the year Premier serves many different local charities all over the country* but during the 'Holiday Helpers Special' we find it best to find out from our customers who their favorite charity is and make a donation* in their name! For the past seven years Premier has partnered with Scion to give away a brand-new Scion vehicle each year. This particular give-away does not depend on grades; it is dependent on a commitment to the importance of staying in school. Every year, all of the eligible, local New Orleans high school seniors who had perfect attendance for the school year are entered into a drawing for a car; and a winning student is chosen from a random drawing! Other eligible students are rewarded with a small financial contribution towards continuing their education.